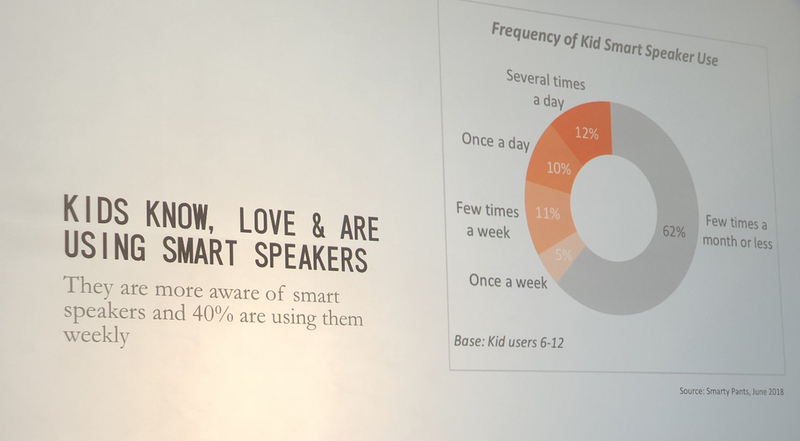 "Audio is one of those other senses that can be activated when parents and their children build things with a Lego set, and it's completely uninterrupted and complementary to the building experience," said LEGO's James Poulter at the Voice Summit. While the appeal of the colorful LEGO interlocking building blocks would seem to stand as one traditional toy holdout against the rise of digital, the company’s May release of an Alexa skill called Duplo actually demonstrates the way interactivity influences physical life. As one of the first Alexa skills to combine physical play with Amazon Echo’s Alexa voice activated assistant, the Duplo skill serves as an interactive storytelling experience “to ignite fun explorative play for the youngest children,” aged 2–5, and their parents, LEGO says. In a presentation at the three-day Voice Summit 2018, James Poulter, LEGO’s head of Emerging Platforms & Partnerships, Digital Consumer Engagement, demonstrated a wider use case for voice activation beyond accessing news, weather, and music playing. LEGO’s James Poulter hands a Voice Summit audience member $20 to demonstrate an act that inspires empathy. 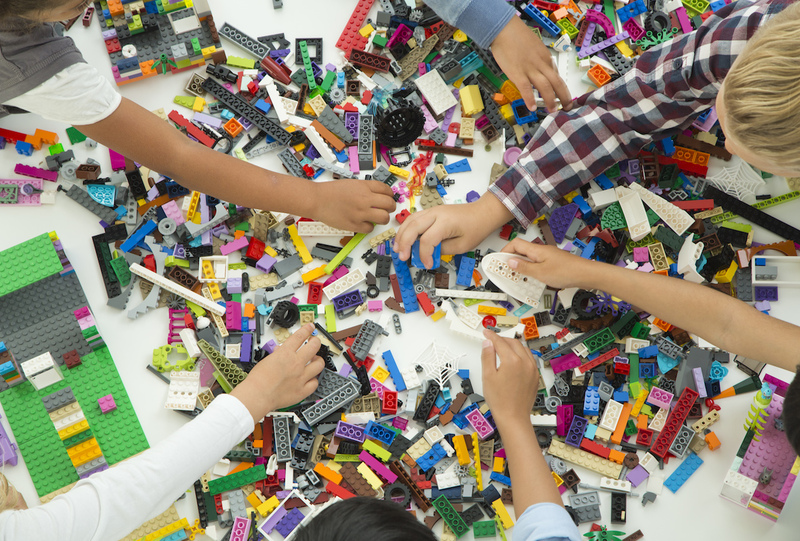 In LEGO’s view, technology can help jumpstart children’s physical creative play that encourages active participation, including parent interaction, which is important for children’s further development particularly in the early years. Voice is also so fundamental for developing creativity and empathy. 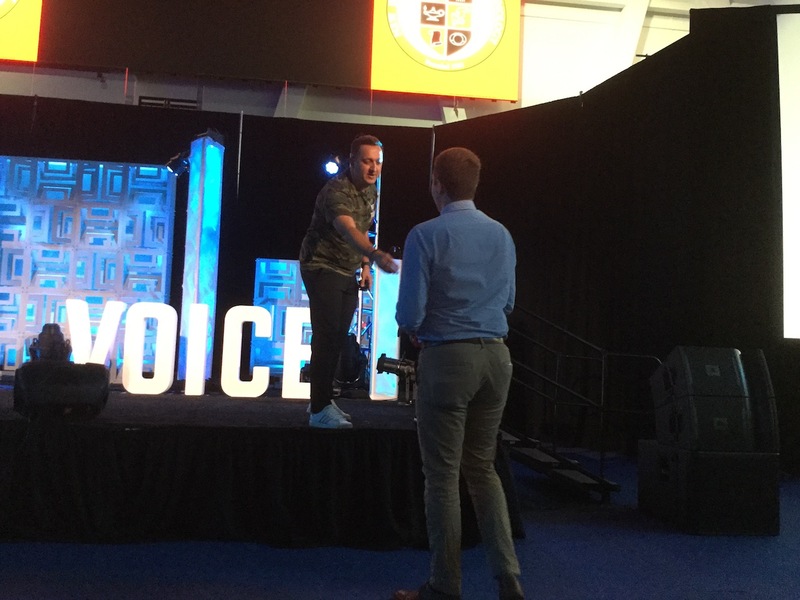 After his act of giving, Poulter asks the Voice Summit audience who has $20. To illustrate and prove how empathy can easily be sparked among strangers, at one point, Poulter took a $20 out of his pocket and offered it to any audience member who wanted it. “Didn’t that feel good? For both him, me, and us,” Poulter noted. He then asked who in the audience had a $20 bill. About two dozen people held $20 bills in raised hands. Poulter then asked three people to the stage and pitch their dream business. He collected $480 from the audience who chose to “fund” a young woman’s work on prosthetics. 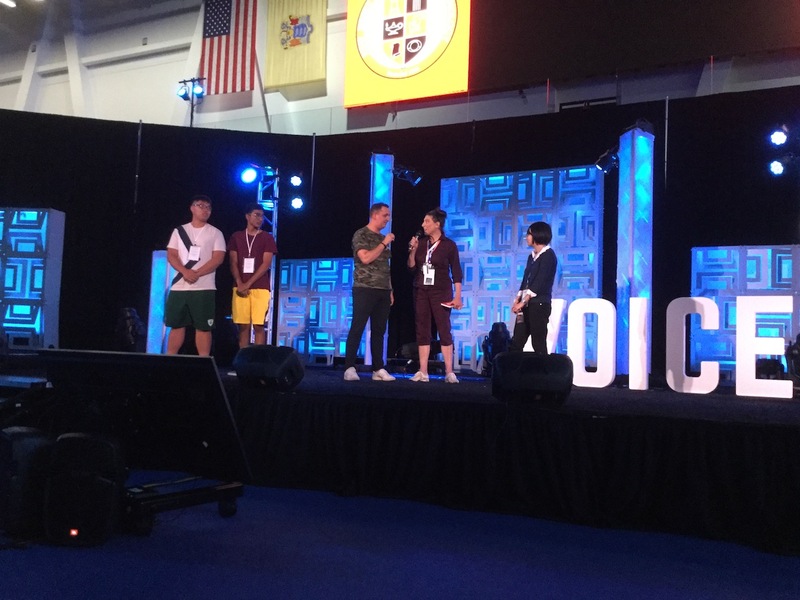 Poulter helped raise $480 in $20 bills from Voice Summit attendees and presented it to another audience member to fund her work in prosthetics. “Duplo Stories for Alex is an interactive building skill,” Poulter said when asked to explain the thinking behind the partnership with Amazon. “It has 10 different interactive stories in it for kids to play with their parents. It’s for preschoolers. “And the insight we’ve gotten so far has been twofold: One was seeing that parents are busier then they’ve ever been before, right? Millennials are beginning to have kids, their often now both of them working over 15 hours a week if they are in a joint income family. Many people are still single income families, and so they’re busier than ever too. They need new ways to start play with their kids as much as possible. we started rolling out a couple of voice activated and vision activated installations inside stores, including a kind of chat bot style experience where you can navigate the store environment using voice, which I think we’ll see more and more increasingly. There are challenges in store environments. It’s busy. It’s crowded. So you have to find the isolated ways of doing this, and I think if you look at the work that people like Sonus for example, our partners have done in those spaces, to create really great listening experiences in the retail environment. Your just going to see more of that happening. But there are a number of kind of technical challenges that have to be overcome as well. As retailers struggle with how to imbue brick-and-mortar stores with a more omnichannel focus to meet the demands and expectations of digitally connected customers, LEGO is also adding out its Alexa voice activation experience in its physical outlets. The idea is to bring the same sense of fun and ease that its Duplo Stories provide at home into the store, where all customers can interact with sales teams and digital tools. “We started rolling out a couple of voice activated and vision activated installations inside stores,” Poulter told GeoMarketing. “That also includes a kind of chatbot-style experience where you can navigate the store environment using voice, which I think we’ll see more and more increasingly. There are challenges in store environments that need to be overcome and addressed, Poulter noted.